Great news! 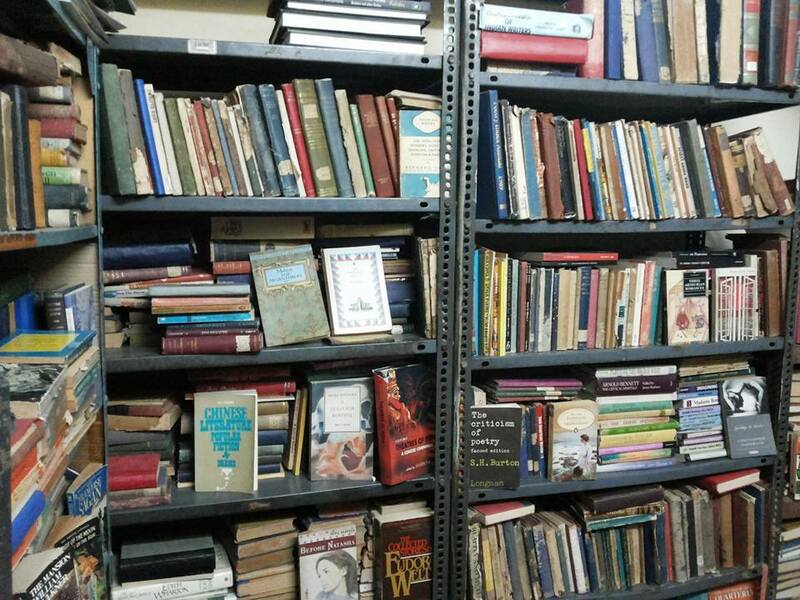 I am now a newly minted patron of Select Book Shop, a charmingly claustrophobic conclave of used books off Brigade Road, Bangalore (ahem! Bengaluru). I had heard and read (here and here) about it; friends urged me to visit it; and yet, I had been putting off taking that short walk from Blossom(s) (where I am a regular—you can read me raving madly about it here), down Church Street, into Brigade Road, and into a not-so-narrow lane to the quiet corner where Select Book Shop lays snuggled in cosy bookishness. So today, I made my resolute way to Brigade Road with the express intention of visiting the place. I am glad I did and thankful for the pleasantest hour and a half I’ve spent in a very long while, tucked away in a corner, and accompanied by the soothing chatter of Mr Sanjay (Mr K.K.S. Murthy’s son; Mr Murthy owns the place) in conversation with a friend of his. 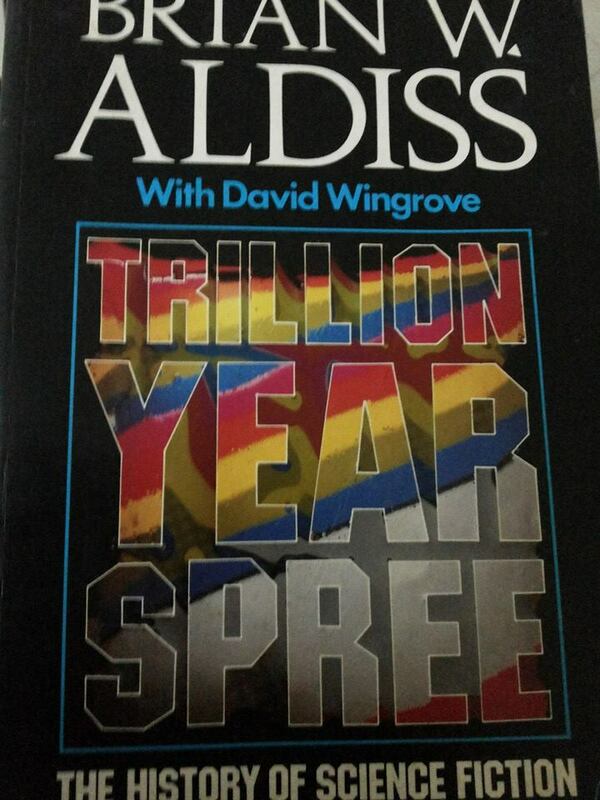 Among the piles, towers, and packed shelves of sweet-scented old books, I was able to find a nice paperback copy of Briand Aldiss’s Trillion Year Spree, a book I had read about just yesterday. Quite the coincidence, that! I also picked up a 1980 single-volume Penguin paperback of Nancy Mitford’s The Pursuit of Love and Love in a Cold Climate. And an interesting book of collected criticism by William Troy, William Troy: Selected Essays, rounded off today’s finds (read purchases; I made a mental note of quite a few other books to browse through in detail, and possibly buy, when I came back the next time). However, the books were not all that the shop had to offer. An integral part of the Select Book Shop experience is the conversation. And today, I experienced it in the form of snatches of conversation with Mr Sanjay and his friend about the shop, books, and Pradeep Sebastian and his column in The Hindu Literary Review, Endpaper. It was refreshing to talk to people to whom Pradeep Sebastian, the Lit Review, and Endpaper were as familiar as they are to me. I left with a promise to come back and, when I did, to visit the shop’s highly recommended first floor of books. This entry was posted in Books, Notes from the Bookshop and tagged Bangalore, Bengaluru, Books, Briand Aldiss, Endpaper, Love in a Cold Climate, Nancy Mitford, Pradeep Sebastian, Select Book Shop, The Hindu Literary Review, The Pursuit of Love, Trillion Year Spree, William Troy, William Troy: Selected Essays. Bookmark the permalink. What a great find! Sounds like a delight, and looks like one, too, from the photo. i would like to contact mr. Pradeep Sebastian , i have read his articles on rare books , i may have some old books which i dont know are rare or not (my grandfather had a book shop from 1940s to 1970s .) i have many books of his shop .